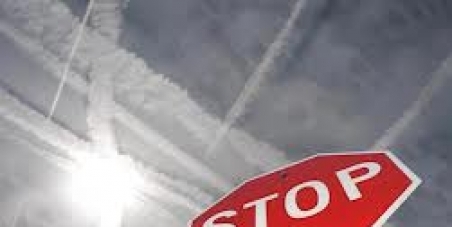 STOP Geoengineering/Chemtrails in CANADA- SIGN THE PETITION! This petition has been created by Branden W. and may not represent the views of the Avaaz community. In this video, Dane Wigington gives another presentation in Northern California on the harmful effects of Geoengineering, declaring that there is virtually NO NATURAL WEATHER due to the massive global climate engineering. The very essentials needed to sustain life on earth are being recklessly destroyed by these programs. This is not a topic that will begin to affect us in several years, but is now already causing massive animal and plant die off around the world, as well as human illness. Dane Wigington presents hard data which reveals what these catastrophic programs have done to our planet to date and what they will do if they are allowed to continue. Please take the time to watch this video, follow up with some investigation of your own on our site -- www.geoengineeringwatch.org and share this information far and wide.